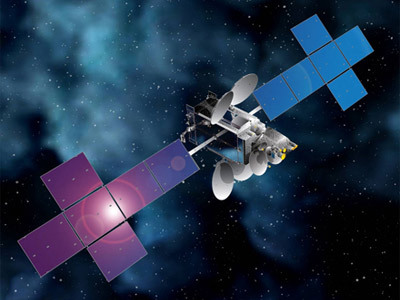 Space Systems/Loral (SS/L) announced in September 2011 that it has been awarded a contract to provide two high-power hybrid C- and Ku-band satellites, called Intelsat 30 and 31 or DLA 1 and 2, to Intelsat for Direct-to-Home (DTH) television service in Latin America. The two satellites are operated by Intelsat, which provides the complete Ku-band capacity of them to DIRECTV Latin America, a DTH digital television services operator in Latin America. The Ku-band payloads, refered to as DLA 1 and 2, are used to expand DTH entertainment offerings and provide backup and restoration services. The two satellites were launched in 2014 and 2016, respectively, to be co-located with Intelsat’s Galaxy 3C satellite at 95°W, which DTVLA has used since 2002. Each satellite features 10 C-band transponders for Intelsat’s own use for expanding its business in the growing Latin American market. The two satellites are designed based on the decades proven Space Systems/Loral 1300 platform and the first is scheduled to launch in 2014. They are contracted to provide service for a minimum of 15 years.